Add some tropical style to your summer ensemble with Ipanema. These Love Fem Thongs feature unmistakable Ipanema style, a durable strap with stylish rope detailing, beautiful textured decoration, and an anatomic textured footbed for strong support and added comfort. Hitting the beach has never looked so good. 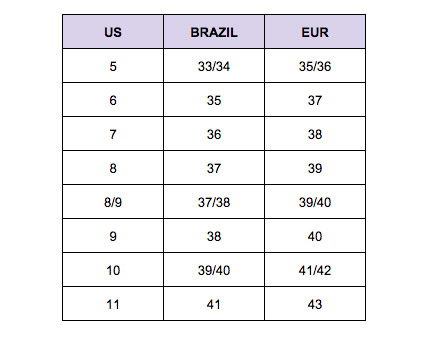 Available in women’s (US) sizing - see size chart for correct fit! This iconic flip flop is inspired by one of the most glamorous neighbourhoods in the world. Ipanema today still rings with the bossa nova flair of the 1960s and is home to arguably some of the most beautiful scenery and people in the world. Ipanema footwear reflects this fiery place with vivid colours and beachy style unique to Brazilian culture. Ipanema sandals and flip flops are designed to be the focal point of your summer beach outfit. With strong environmental and ethical influence, an Ipanema purchase contributes to social and environmental causes.